Are you serious about making money with betting in 2019? Then tracking your bets is something you should start doing if you aren’t already. In this article we’ll look at the main reasons why tracking your bets is so important and the most effective ways you can start using this strategy today. To be successful at betting in 2019, it’s imperative to keep organised and know your betting strategy inside out. In the modern world of gambling, you likely place a lot of bets each week. This is especially true if you use strategies like matched betting and value betting to beat the bookies on a regular basis. Obviously keeping track of all your bets will become very difficult if you’re keeping a mental note or using the good old fashioned pen and paper. That’s if you’re tracking your bets at all! If you’re not, you’re missing out and potentially leaving a lot of profit on the table. But not to worry, we’ll show you how easy it is to track your bets later in this article. As you probably know, the betting industry is incredibly competitive and there are hundreds of online bookmakers that customers can choose from. Most punters don’t just open one bookmaker account. 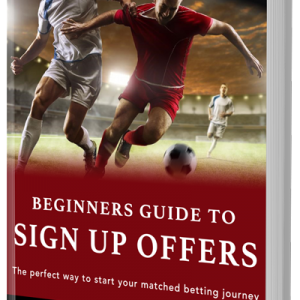 Bettors will typically register with a range of bookies to maximise their profit. Whilst this is great for those looking to take advantage of as many free bets, promotions and other bonuses, it’s a nightmare for remembering what bets you placed where and how much money you have in each account. However, as we’ll see below, tracking your bets is one of the easiest ways to keep up to speed with your account information whilst also maximising the amount of profit you make from betting in 2019. So what are the main benefits of tracking your bets in 2019? This is arguably one of the most important reasons you should track your bets in 2019. Being able to take a quick look at your betting history is incredibly helpful for a number of reasons. If you’re placing a lot of bets, you’re likely to have the occasional issue. However, this is easily resolved if you keep a record. If you track every bet, you’ll be able to identify exactly which bet(s) you have an issue with and go from there. Whether you stop using the bookmaker in question or change your betting strategy is up to you. Having quick access to your betting data also ties into the next benefit of tracking your bets. For those of you looking to maximise your betting profit in 2019, improving your strategies will be one of the areas that will have the most effect. That’s why it’s important to analyse, track and improve your techniques. This is impossible if you don’t track your betting data and have quick access to your historical bets. Using this information you can quickly see which bets you’ve won, which bets you’ve lost and ultimately where your strategies have fallen short. This process allows you to make better decisions with your strategies moving forward. If one method isn’t currently working for you, there’s no need to continue with it. Rather than looking at your data on a bet by bet process, you could create graphs and charts to help visualise your betting data. If you’re serious about making money with betting, this is something I recommend you consider doing. Tracking your bets ultimately gives you more information and allows you to make more informed decisions as you move forward with your betting. This is crucial if you want to maximise the amount of money you make. The third benefit of tracking your bets is that you can keep all your betting account information in one place and know exactly how much money you have in each account. As I mentioned earlier, modern bettors likely have multiple accounts open. Whilst this is great for taking advantage of bookies promotions, there’s a lot of information to remember including usernames, passwords, security questions, you get the picture. However, you can easily solve any issues by keeping a record of this information in your bet tracking spreadsheet or software (more on this next). So you know it’s important to track your bets but what is the best method to do so? Back in the day, bettors and professional gamblers would record all of their bets with pen and paper. You can still use this method and a number of bettors do. However, it’s very inefficient and your time is better spent placing bets and working on your strategy. I recommend you create a simple Excel or Google spreadsheet to record all of your bets. It doesn’t need to be complicated, it just needs to have the important data that will be useful in the future. Whilst you could add more, I don’t think it’s necessary at least for the average punter looking to make a decent income from betting. There are a number of options when it comes to tracking your bets and it’s generally up to personal preference on the one you go for. As I mentioned above, you can use the good old method of pen and paper however, this is likely to take a lot longer. You can also use specialist software to track your bets. Whilst there are fees involved with this method, it certainly increases the speed and effectiveness of tracking your bets. Some bet trackers even allow you to connect your betting account to automate the whole process meaning you have nothing to do. This is an awesome feature that will certainly help you save time, allowing you to focus on the important stuff like what bets to place. There are a number of options when it comes to bet tracking software. The most popular services are Betting Metrics and Smart Bet Tracker. Overall, tracking your bets is an essential part of a successful betting strategy in 2019. It will allow you to make better decisions moving forward ultimately giving you a greater return in terms of profit. This is certainly something you should start doing if you’re not already.